Fairfax Financial Holdings owns Northbridge Financial Corporation and has many subsidiaries. This company has $5.6 billion worth of assets and $1.3 billion annual premiums. The Northbridge Insurance Group of Companies consists of Northbridge General Insurance, Personal Insurance and Commercial Insurance Corporations. The Northbridge Personal Insurance Corporation provides personal home and auto insurance policies and the Northbridge General Insurance offers commercial insurance and the Northbridge Commercial Insurance offers transportation and logistics insurance products. Lombard Canada Ltd is another subsidiary of Northbridge Financial Corporation and is located in Toronto. The large network of brokers sells all Northbridge insurance policies independently. The Northbridge Insurance has offices in Toronto, Montreal, Halifax and Vancouver. The Northbridge Personal Insurance Corporation underwrites car insurance policies. Northbridge Insurance also offers ridesharing policies to all drivers who use RideCo device and transport passengers for payment. This is not a feature offered by most personal auto insurance companies. This ridesharing insurance covers all RideCo passengers and drivers in Ontario. RideCo is a mobile app that you could use on your smartphone to book a ride. Northbridge Insurance did not have any rate filings for 2010 and 2011. They did not file for rate changes in the 1st and 4th quarters of 2012. The market share stayed stable at 0.93% in the 2nd and 3rd quarters of 2012. This dropped to 0.81% in the 2nd quarter of 2013 and stayed stable in the 4th quarter of 2013. Northbridge did not file for rate change approvals in the 1st and 3rd quarters of 2013. There were no rate change approvals in 2014. The market share declined to 0.74% in the 1st quarter of 2015. This further decreased to 0.01% in the 2nd and 3rd quarters of 2015. In the 4th quarter of 2015, there was an increase in the market share of 0.71%. They did not file for any rate change approvals in the 2nd quarter of 2016 and there is no data for the last quarter of 2016. The rate changes approved was stable at 0.71% in the 1st quarter of 2016. This marginally decreased to 0.64% in the 3rd quarter of 2016. Northbridge Insurance had no rate filings in 2010 and 2011. There were no changes to rates in the 2nd and 3rd quarters of 2012. They did not file for rate changes in the 1st quarter of 2012. There were no rate change filings in the 1st and 3rd quarters of 2013. The rates marginally increased by 0.01% in the 2nd quarter of 2013. This further increased by 0.41% in the 4th quarter of 2013. Northbridge Insurance did not file for rate changes in 2014. The rate change approved by FSCO in the 1st quarter of 2015 declined by 0.56%. Around 39 insurance companies filed for rate changes in that quarter. They represented 73.48% of the insurance market. This further dropped by 0.72% in the 2nd quarter of 2015. In that quarter about 26 insurance companies filed for rate changes. They were representing 52.75% of the insurance industry. The rate changes approved decreased by 2.46% in the 3rd quarter of 2015. About 40 insurance companies filed for rate changes in the same quarter. They represented 77.45% of the market. There was no rate change approved in the 4th quarter of 2015. Northbridge Insurance gives discounts to policyholders of car insurance based on many factors. Personal Choice Discount: When you combine your home and car insurance policies with Northbridge then you may get a discount. This savings scheme is now offered only in Ontario. Multi-vehicle: You may get a discount of at least 10% when you insure more than 1 vehicle with Northbridge Insurance. This discount is applied for each qualified vehicle that you insure on your car insurance policy. Northbridge provides car insurance with standard coverage in Ontario as per law. The mandatory car insurance coverage includes statutory accident benefits, liability, DC-PD and uninsured motorist. They also offer optional coverage that you may purchase for additional protection in case of a loss or damage. Another option is to get the Personal Umbrella Liability that will protect you and family. This is in the case of property damage or injury loss more than your coverage limit and it extends worldwide. You may also add a special endorsement for the protection of your driving record. This will guarantee that your at-fault accident for the first time will not affect your driving record. There are certain terms and conditions to qualify an accident protection. If an accident leads to a criminal or major conviction then it may not qualify for this protection. This special endorsement can be added to your car insurance policy for a small fee. 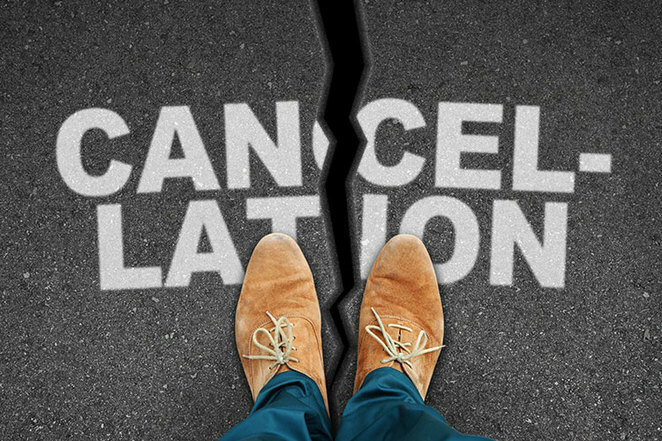 If you wish to submit a cancellation request for your car insurance policy then you may contact your broker. You may locate your nearest broker by using the online tool. It allows you to search by city, province, postal code, type of insurance and distance. If you wish to send a cancellation request in writing then you may mail it to the Toronto office address. As per your policy terms and conditions, Northbridge Insurance will calculate your refund. In case you cancel midterm then they may deduct a cancellation fee from your refund based on short rate method. You may call 1855-621-6262 to report a claim for your car insurance policy. The claims department is available 24 hours on all 7 days of the week to assist you with your claim. There is also an option to submit a claim by completing the online form on the website. After you report your claim you will be assigned a claims adjuster who will help you. If you already submitted a claim and do not know your adjuster then you may email or call for information. The email address you may write to is different for all the 4 regions. The email address for the Nova Scotia region is AtlanticClaims@nbfc.com. You may write to OntarioClaims@nbfc.com to reach the Ontario office. If you wish to contact the Quebec office then you may send an email to SinistresQuebec@nbfc.com. To write to the Vancouver office you may send an email to WesternClaims@nbfc.com. After you know your claims adjuster then it is easy to get an update on your claims status. The easiest way to get a Northbridge car insurance quote is to contact your broker. The online tool on the website can be used to locate your nearest broker. If you wish to speak to the customer service department for a quote then you may call on 1855-620-6262. Broker: The best method to get in touch with Northbridge Insurance for your car insurance is by locating your nearest broker. You may use the online tool to find the nearest local broker. To make any policy updates such as a different address, you may contact your broker. Mail: If you wish to write to Northbridge Insurance for general queries then the address is 105 Adelaide Street West, Toronto ON M5H 1P9. Email: There is also an option to send an email to Northbridge Insurance and write to info@nbfc.com. The email address to reach the billing department is billing@nbfc.com. The number to call Northbridge Insurance for any general queries is 1855-620-6262. You may call on 1800-563-7622 to ask any questions related to your car insurance policy. There are 4 regional offices located across Canada. If you wish to call the Toronto regional office you may call 416-350-4400 or 1855-620-6262. The number to reach the Montreal regional office is 514-843-1111. You may contact the Halifax regional office by calling 902-422-1221. If you wish to get in touch with the Vancouver regional office then you may call 604-683-5511. In order to file a claim, you may contact 1855-621-6262. We are not affiliated and make no representations or warranties, recommendations or endorsements of Northbridge Insurance. This article is our review of Northbridge Insurance for information purposes only. The logos, trademarks, and copyrights mentioned in this article belong to the Northbridge Insurance.